This year's season of Table Top, a biweekly series hosted by Star Trek's Wil Wheaton on Felicia Day's Channel Geek and Sundry is upon us. 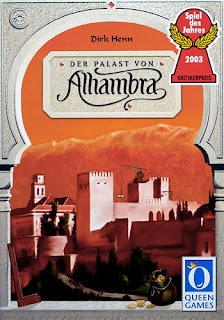 The 2013 season kicks off with Alhambra, an award winning game from Queen Games. Take a seat and join in as we watch Wil and guests Ashley Johnson (actress - Benlo, The Killing), Dodger Leigh (Coffeh Time, Press Heart To Continue) and Shane Nickerson (ex-producer - Ridiculousness) play to see who can not only build the most beautiful Alhambra but also score the most points. Read our game write-up by clicking here on Game Profile: Alhambra to learn even more about this game. 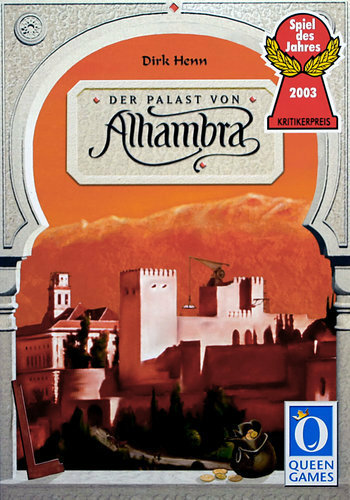 We have Alhambra available for purchase and a copy in our Store Demo Game Library.